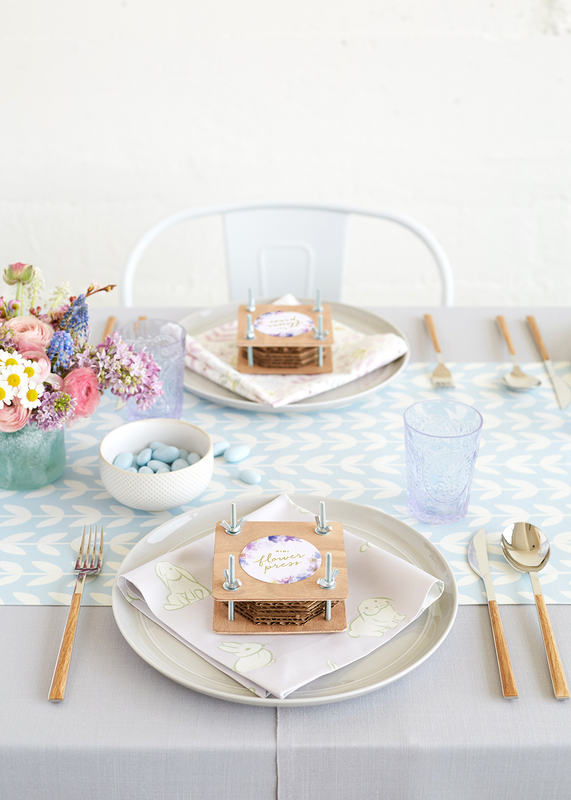 This Mother’s Day, personalize your mom’s special breakfast with this printable kit! Every year, I try to make something for my mom that is unique and from the heart. In creating these downloadable designs, I was inspired by how lovely and fresh spring flowers always make me feel. I wanted to capture their beauty and softness in this kit by using watercolor and broad strokes of color. 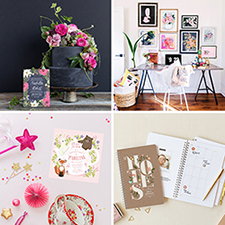 The end result is a variety of simple and happy pieces that will make mom’s day a truly special one! Go ahead, download the designs here, print on a thick letter-sized sheet of paper and assemble according to the instructions below. Flags: Cut along the outline, fold over a toothpick and tape/glue the ends to secure. These little guys are perfect for pancakes, toasts or even inside a bouquet of flowers. The possibilities are endless! Tea Bag Wrapper and Tag: For the tag, cut along the outer edge, fold in half and string the end of your tea bag through. For the tea bag wrapper, first cut along the gray outline, fold the two side flaps of the front section inside and tape to the back piece. Next, fold the top flap over the front section, and tuck it inside the bag. Lastly, add your name or a small message to the back section. Tent Card: Cut along the outline and fold across the center. Write a message inside, and display alongside a delicious breakfast. Gift Tags (not shown): Cut along the outline and hole-punch where indicated, then tie with some twine and voila! These are so great. Very cute photo styling too! My mother is a health freak, so these look like something she would go for! Thank you for sharing!